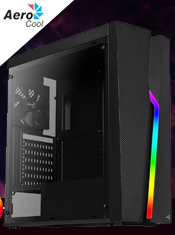 The CiT Evolve is an ATX case with a plastic front panel, with a standard 1 x USB 3.0, 2 x USB 2.0 located at the front of the case for easy access giving the user super speed connectivity when data transferring. The case features a luxurious black colour, including the interior giving the case an outstanding design. 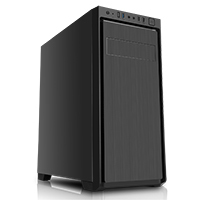 It comes with 1 x 120mm black fan on the rear which provides a better cooling performance. 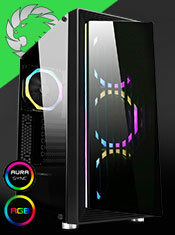 This case supports ATX power supply and ATX, Micro-ATX and Mini-ITX motherboards. The Evolve has a CIT 500 PSU included. Front Panel - Plastic front panel. I/O Ports - 2 x USB 2.0, 1 x USB 3.0 and HD Audio located at the front of the case. Chassis - Black coated interior. Water Cooling Support - 120mm water cooling radiator can be fitted at the front and rear of the case.